Our February 2018 Artifact of the Month is a one-of-a-kind, handmade single-strap head harness dating somewhere between 1895 and 1905. The exterior of this newly discovered head harness, which appears to have been made out of a leather belt or strap, consists of two pieces of leather, a headband and a longitudinal strap running down the center of the head, and two sole leather ear flaps. On the interior, the maker utilized a canvas shell which has been padded with an unknown filler material. 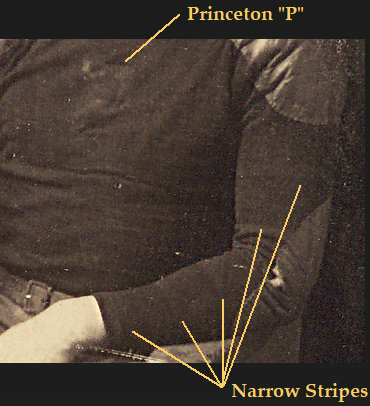 The head harness example is similar in design to a rare early head harness we discovered in a team photo back in September 2016. We gave that harness a new designation, the "single-strap ear protector", due to the fact that its transverse and longitudinal straps appeared to be unpadded. This example incorporates padding for the crown and sides of the head, leading us to create yet another head harness designation, the "single-strap head harness. "